My final day in Cornwall and I aimed to capture the St Ives Bay Line. 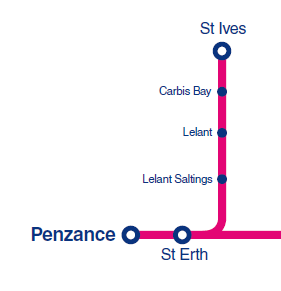 This short (4¼ mile) line branches off from the Cornish Main Line at its penultimate station, St Erth, and winds its way up to the town of St Ives. 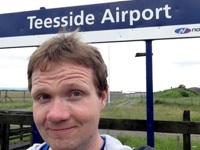 Although the end-to-end journey time is only about 15 minutes, it has a reputation as one of the most scenic lines in Britain, and I was keen to see for myself. I arrived at Penzance on Thursday morning, to find another Sprinter simmering away under the cavernous roof. 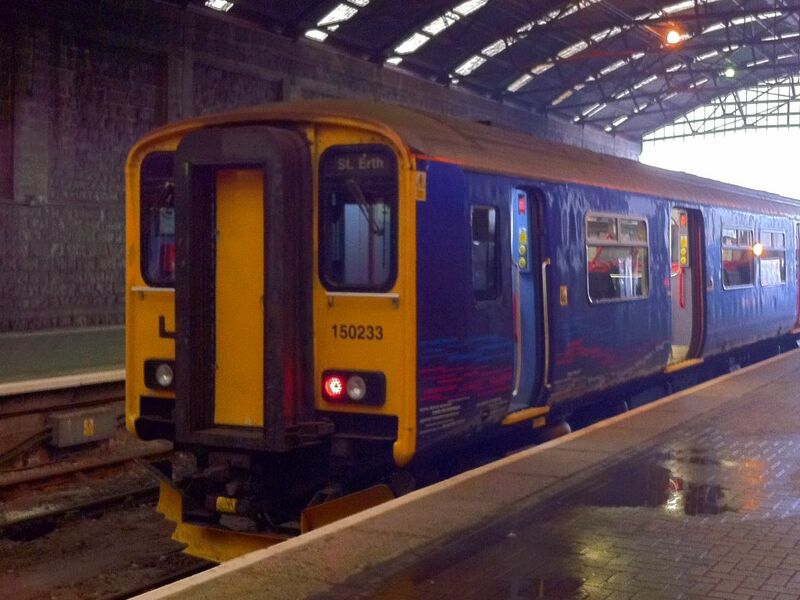 This was the 0857 to St Ives, one of a few trains on the line that start at Penzance rather than St Erth. 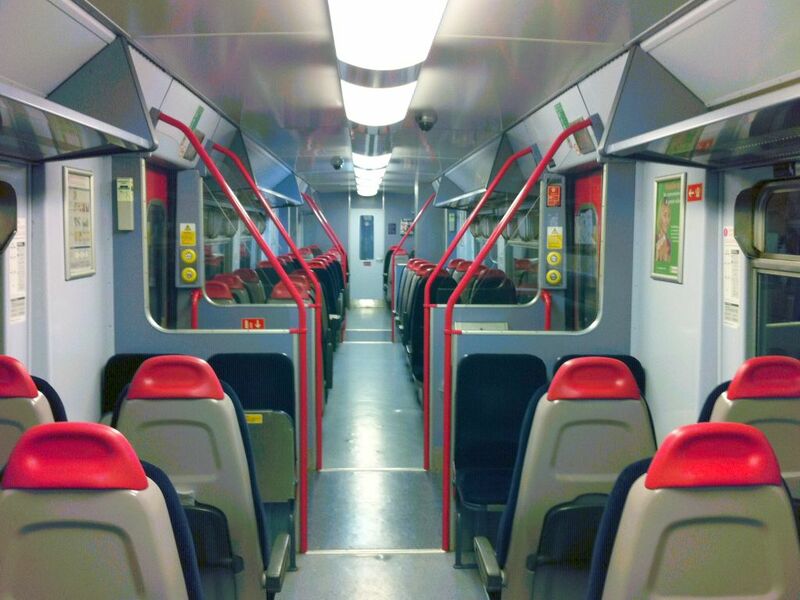 During the summer the branch trains are rammed with tourists, but on an overcast Thursday morning in March I had the carriage more or less to myself.